Home > Ask Our Experts > Does 'Cooling Off' Period Apply to Contract Made By Phone? 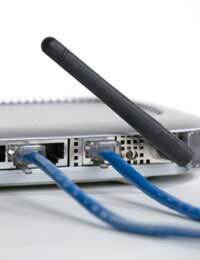 My partner and I recently purchased a broadband package from a well known provider over the phone in which we were led to believe that we had a 14 day period in which we could return all equipment and cancel without occuring a charge. We were then were told this was wrong and if we cancelled we would occur a vast charge... then we realised that the payment scheme we agreed to had also changed and not what we had originally agreed to. Is this a breach of contract and if so what can my partner and I do about it? When a contract for the purchase of goods or services is entered into between a business and a consumer over the telephone it will usually be governed by special distance-selling rules. These rules state that a consumer is allowed to change their mind and cancel the contract within a certain period without penalty. Under the Consumer Protection (Distance Selling) Regulations consumers are entitled to 7 days to cancel most contracts entered into over the telephone. When the 7-day period starts varies depending on the type of contract. If the contract is for the supply of services the cooling-off period starts when the contract is entered into. The supply of the services should not start sooner than 7 days from that point unless the consumer is warned that he may lose his right to cancel the contract if he agrees that the service may start sooner. To enforce their right to cancel an agreement within 7 days the consumer should notify the supplier in writing that they wish to do so. When the contract is for the supply of goods the cooling-off period usually starts when the goods are received. The cooling-off period does not apply in all cases. For example, a consumer is unlikely to be able to cancel a contract if it was for the purchase of food or other perishable goods or for items made to the consumer’s specifications. In addition to the minimum legal cooling-off period, individual businesses may have their own terms and conditions which allow a longer period in which the consumer can cancel the contract. If a business does allow a longer cancellation period they may be entitled to charge for this. If, however, the charge is very high and / or disproportionate to the financial value of the contract itself it may be an unfair contract term. As the 14 day period you mention is longer than the legal minimum you should check the written terms and conditions carefully to see what they say about any charge for cancelling. If you were specifically told that there was no charge you could rely on this as an unwritten term of the contract. Your question raises a further issue about the nature of the agreement reached between you and the broadband provider. You say that the payment scheme is different to what you had agreed. If the difference is substantial you may be entitled to cancel the contract on this basis. In fact if you agreed to one set of terms and the supplier agreed to something else there was arguably never a binding contract. However, you may not be able to cancel on this basis if the difference is trivial and would not have made any difference as to whether or not you agreed to enter into the contract.